Remember that guy who lost all of his money trying to win a Kinect in a carnival game? He got it back. He got the Kinect, too. Last week, Henry Gribbohm threw away $2,600—his entire life savings—trying to win an Xbox accessory. He didn't win it. 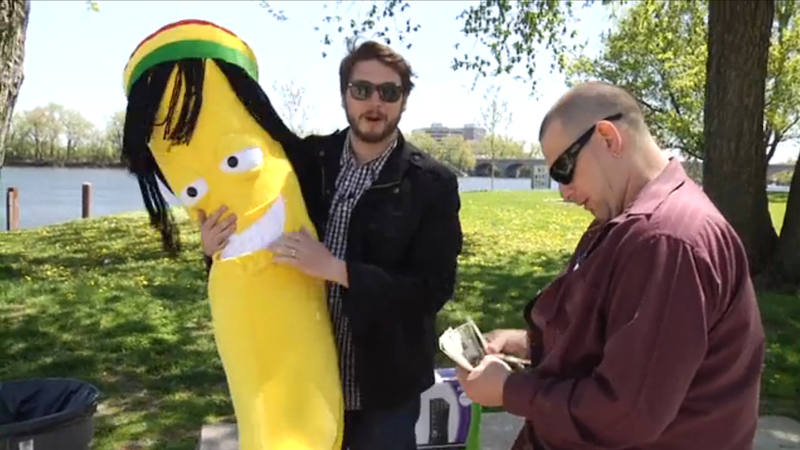 He did win a banana (pictured above). That part is pretty critical, because the folks at College Humor saw Gribbohm's banana and decided that they had to have it. So they drove out to New Hampshire, tracked him down, and gave him $2,600 (along with an Xbox) in exchange for his dreadlocked friend. Now they have a banana. A $2,600 banana. You can watch the College Humor video below. Gribbohm, for his part, claims he was scammed into thinking he was part of a carnival performance, which certainly makes more sense than someone intentionally throwing his entire life savings at a game.